He came, he saw, he failed to conquer. Louis’ reign as the Manchester United manager came to an end 48 hours after lifting the FA Cup. He was fired by the United board for not achieving the aims of the club mainly the failure to qualify for Champions League football next season. 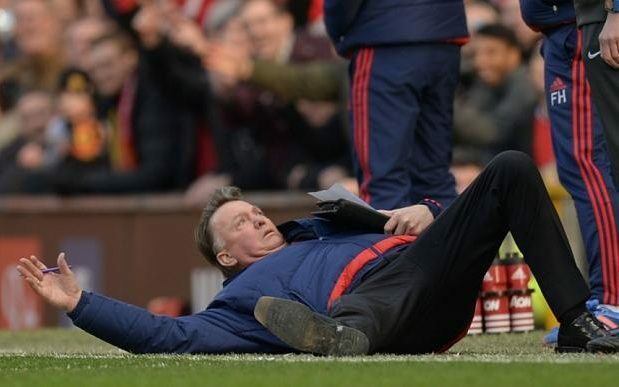 Van Gaal has departed without anybody being any the wiser on what exactly the Dutchman’s philosophy was. All he has left is a legacy of tactical ineptitude that bemused the fans and left them frustrated. Louis van Gaal came to United in 2014 saying all the right things, but ended his second season, saying all the wrong things. Of course, the fans’ expectations are high we are talking about Manchester United after all but to say that we put too much expectation on the team is ridiculous, to say the least. The Dutch coach arrived at the club with an impressive CV after many successful years in club football and at the helm of the Dutch national squad. However, in two full seasons his philosophy got us absolutely nowhere, in fact, in the league they even went one step backwards. 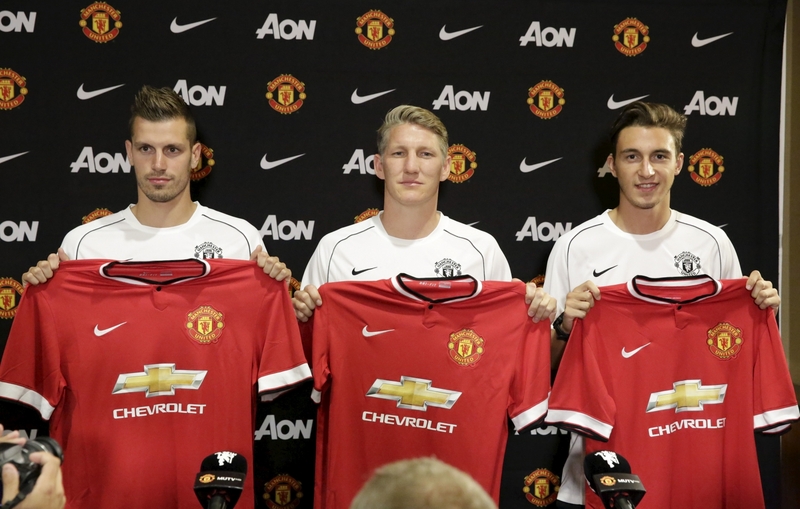 Last summer Old Trafford was all abuzz with the marquee signings van Gaal had made, including the German international Bastian Schweinsteiger, Morgan Schneiderlin from Southampton, little-known Italian defender Matteo Darmian, exciting young prospect on the wing Memphis Depay, Argentine keeper Romero and the most expensive teenager at the time Anthony Martial. Out of those summer buys only Martial proved his full worth as was evident on his scoring debut against bitter rivals Liverpool. That scoring form continued throughout his debut season ending up United’s leading scorer with 17. A total that sounds low until you consider that he spent the season out on the left wing. 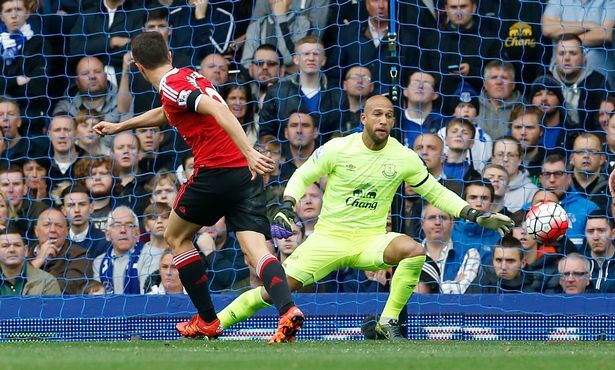 Schneiderlin also performed admirably as did Darmian, but the others not so much. Schweinsteiger spent the last two months out injured and Memphis endured a torrid season blighted by a dramatic drop in confidence which meant he spent most of his first season on the bench. 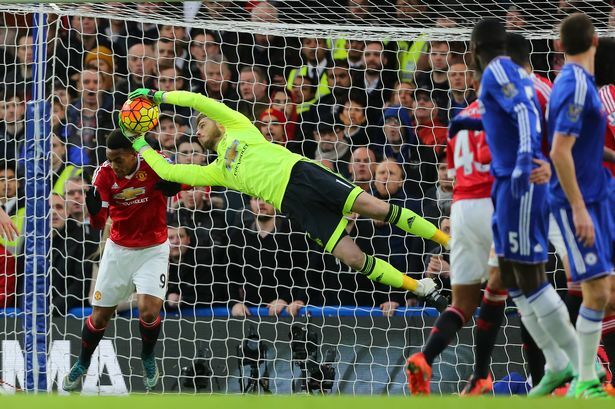 Romero played the first six games until De Gea’s new contract was signed then he managed only four more appearances. Van Gaal, like a lot of the players, talked up a good game especially in his famous press conferences. But when it came to the important part they failed to deliver time and time again on the pitch. Ten defeats in a league season is simply unacceptable. The biggest problem had to be the distinct lack of goals that cost us a top four place as we ended the season on equal points with Man City who enjoyed a far greater goal difference. In total United scored only 49 goals in the Premier League, which is the lowest achieved by a United team since the 1989-90 season, 46. 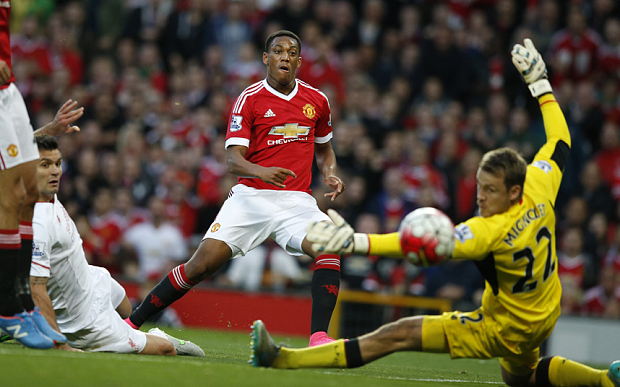 The top scorer in the league was Anthony Martial with 11. Therein lies the problem. For all the possession they enjoyed the main problem was the inability to put the ball in the back of the net especially when you consider Wayne Rooney scored the only hat-trick of the season in August against FC Club Brugge in the Champions League qualifier. In the past, all the players contributed to the goals for column, but this season, the highest scoring midfielder was Mata with 6 and the defenders only managed two goals between them. On the subject of the defence it was one of the meanest in the league conceding 35. At Old Trafford, the visitors only managed to score 9 times. This was down mainly to the partnership of Smalling and Blind and of course the brilliant De Gea who rescued his team on countless occasions. Playing players in different positions, also had the fans scratching their heads in disbelief and at times amusement. Young, a winger, as the main striker while Martial, a centre forward, was on the wing. Rooney was utilised more in the midfield where he had some decent games. But Paul Scholes he is not and his scoring ability was wasted there. Some players were used sparingly during the season and others too much. Herrera often had to take a back seat to Felliani and Carrick looked off the pace at times. Goalkeeper David De Gea picked up his third player of the year award in a row and this shows how inadequately the outfield players grasped the manager’s tactics and were left to play without any urgency or in a cut throat attacking style. It wasn’t all doom and gloom. United did play well against the so called big teams, including a double over bitter rivals Liverpool, a tremendous performance against Arsenal at home, beating City at the Etihad and the 3-0 win at Goodison which was probably the best away performance of the season. 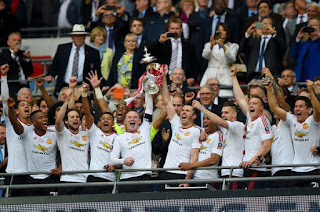 And they ended the campaign with their 12th FA Cup win and their first silverware for three seasons. However, it was the inability to put the lower sides to the sword, especially in defeat to the likes of Swansea, Bournemouth, Sunderland and relegated Norwich after dominating in those games that hurt the most. 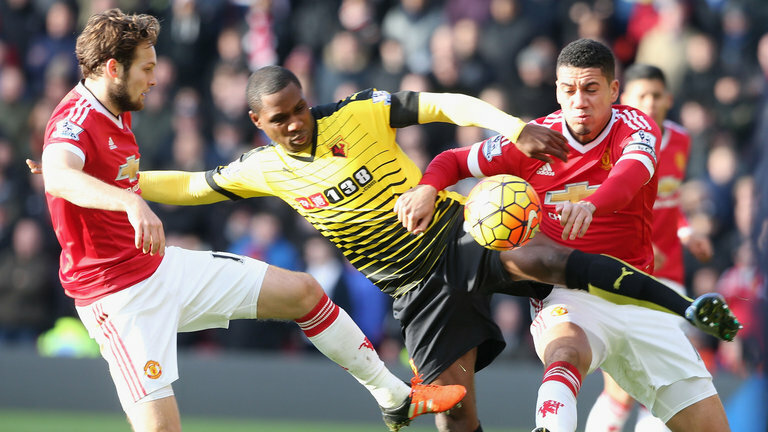 Newcastle, also relegated, held United to two draws. Lost points that had an adverse effect on the final league position. The fact that Leicester City have been crowned Premier League champions shows that there has been a shift in power from the standard big four. It will be interesting to see how the Foxes fare next season along with West Ham, Spurs and Southampton who all brought a breath of fresh air to the league. If there is any consolation in finishing fifth in the league it is that Chelsea and Liverpool will miss out completely on Europe after both had replaced their managers and still failed to deliver. As regards United’s endeavours, or lack of, in Europe that didn’t go so well either. They finished third in what looked a fairly easy group and ended up in the Europa League where they were eventually knocked out by Liverpool after basically a no show at Anfield in the last 16 first leg. The terrible double leg fracture suffered by Luke Shaw early in the campaign was a major blow to the United defence, but it did signal the rise of the youngsters to be given a chance by van Gaal in the first team. 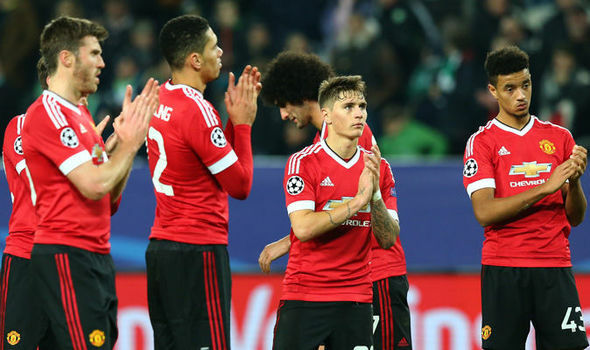 There is one thing that van Gaal can take from his two-year tenure and that is, he brought the youngsters through from the lower ranks and gave them their chances in the first team. However, it has to be said that was due mainly to necessity rather than choice. He had released Adnan Januzaj and James Wilson on loan before the new year and didn’t make any cover signings during the January transfer window, so in effect he had no choice but to turn to the reserves and Under-18’s academy players. The first of those introduced to join by now regular and cup final hero Jesse Lingard was Cameron Borthwick-Jackson at full back then the likes of Love, Varela, Poole, Weir and the great young talent Fosu-Mensah also had opportunities presented to them due to many injuries in the defence. Marcos Rojo missed a huge chunk of the season after shoulder surgery and the same went for Antonio Valencia. 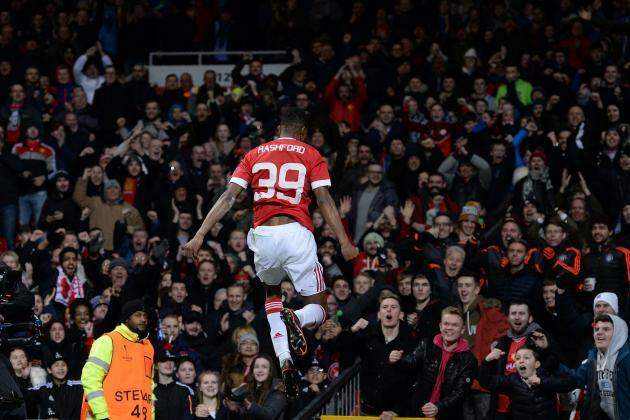 It has to be said that the youngster that had the biggest impact on the side had to be 18-year-old local lad Marcus Rashford. Talk about a Roy of the Rovers introduction to life as a Man United hero. Two debut doubles in two matches against Midtjylland in the Europa League and Arsenal in the Premier League had the fans and media foaming at the mouth at this talented goal scorer who clearly wasn’t daunted by the prospect of playing regularly for the first team. The United reserves retained their League Champions crown which speaks volumes for the work that the coach Warren Joyce did to bring such a talented group of players together and become a feeder for the first team. So, another chapter in Manchester United’s illustrious history has come to an end and now it’s time to turn the next page. One that will hopefully see our great club return to where it belongs and knock Leicester off their perch. Over to you Jose!